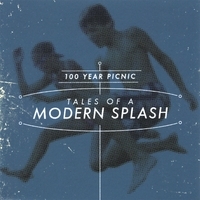 Buy the Tales Of A Modern Splash CD at cdbaby.com or download the album at iTunes or amazon . Buy the As Tall As The Sky CD at cdbaby.com or download the album at iTunes or amazon. Have a picnic, have a party, and who better to bring along than 100 Year Picnic??? These infectious and eclectic indie pop tunes will add some smirky fun to your party music playlist. Your art and music-loving friends are invited! Turn them on to something new... This delicious set of eclectic indie pop tunes by 100 Year Picnic will mix perfectly with your next cocktail or dinner party. Cheers! 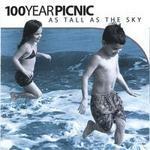 Jump into a great workout with 100 Year Picnic! These songs were specially selected to keep your motor runnin', including the perfect tune to cool down to at the end of your workout. Enjoy! It's been a long day--time to sit back, relax, and chill out to a mellow but melodic set from indie pop songsters, 100 Year Picnic.